Get competitive quotes on outdoor advertising in Surf City! Huntington’s pristine sandy beaches have hosted the U.S open of Surfing for nearly 60 years and continue to be a hotspot for surfers and tourists alike, making it a prime candidate for outdoor advertising campaigns. 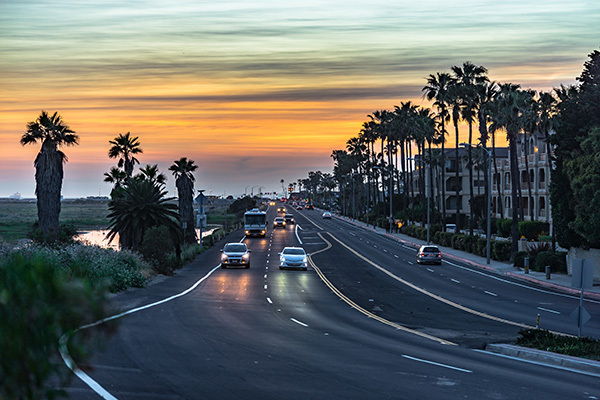 The city is home to the scenic Bolsa Chica State Beach and impressive Huntington Beach Public Library, Art Collections and Botanical Gardens, which lends itself to billboard or transit advertising. Aside from surfing spots and beautiful scenery, Huntington offers the Pacific City Shopping Mall and outdoor Bella Terra Shopping Mall. Whether you’re looking to find billboards, transit or bus advertising, you will find what you need through BillboardsIn. Choose and ad format to learn more. Or begin by browsing BillboardsIn’s database of great outdoor options for your next campaign in Surf City.